Author Bio: Diane Magras, author of the New York Times Editors’ Choice The Mad Wolf’s Daughter, as well as its companion novel, The Hunt for the Mad Wolf’s Daughter, grew up on Mount Desert Island in Maine surrounded by woods, cliffs, and the sea. She is addicted to tea, toast, castles, legends, and most things medieval. Diane lives with her husband and son and thinks often of Scotland, where her novels take place. Sierra Jackson: The Mad Wolf’s Daughter takes place in medieval Scotland, 13th century. Is this time in the history of Scotland something you have always had an interest in writing about? 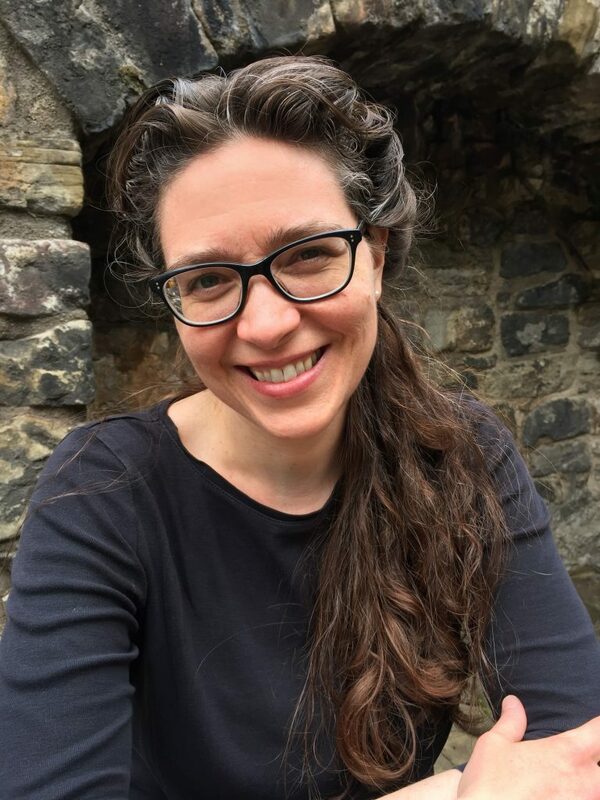 Diane Magras: I’ve long been fascinated by the early medieval period in Scottish history, in which lies the legends of the best-known Scottish warriors and kings. However, my book deliberately takes place between conflicts (and before those legendary figures), as I wanted to explore the lives of people in a not-so-important lord’s region. (I’m always interested in telling the stories of the people whose stories would never ordinarily be told: lower-income, non-royals, and those commonly perceived as villains, as in the case of The Mad Wolf’s Daughter). While I don’t write about William Wallace, Andrew Murray, James Douglas, or Robert the Bruce, I do draw on some of the broad period’s history of cross-border raids for the backdrop of some of my action. I also consider my book history-as-fantasy: While I’ve tried hard to keep my historical facts in line, I’ve also made up conflicts, and adapted the actual coastline to fit my story! SJ: There are many things to love about Drest, but one of her best qualities is her relationship with her brothers, seeing how that relationship grew and changed over the course of the novel. What inspiration did you have behind Drest and her war-band brothers and father? DM: My inspiration for Drest and her family came from a wish of what I wanted to see in middle grade fiction: unconditional support for a girl by seemingly uber-masculine men. And so I started with a group of fierce, tough warriors (the kind of male figure who usually stars in medieval fiction), and gave them room to be tender and loving with the one girl in their lives, as well as each other. Most girls don’t find themselves believed in utterly like this in real life. And most boys aren’t taught to respect girls the way Drest’s brothers respect her. That warm, supportive family is something I want to see more of in our world. SJ: The Mad Wolf’s Daughter is full of historical significance to Scotland in the late middle ages, from moments as notable as the conflicts between the knights and the war-bands, to the treatment of witchcraft, to smaller moments, like the association of Drest’s name as a Pict name. What sort of research did you do in preparation for writing this novel? DM: Reading played a huge role in my research. I read books on the period in general, and on medieval life, politics of the region, and politics more broadly; on castle architecture, weaponry and armor, healing and herbs, foods and clothing, common and unusual names; and on the conflicts that immediately followed this period, and the wars they swelled into. I also visited Scotland and drove around the Borders to visit castles. That helped me nail some details that I’d read about but not fully appreciated (such as how small spiral steps are). I love reading about this period and tracing the connections it has with our world today, but also recognizing the inventions and the genius of engineering that went into so many medieval creations. SJ: Drest is a twelve-year-old hero, was The Mad Wolf’s Daughter always meant to be middle grade? Along that vein, what are some of your favorite middle grade novels? DM: I always planned for this book to be a middle grade novel; my writing voice is most comfortable in that area. I read a lot of middle grade, so I have a lot of favorites. But to just pick a few: Katherine Langrish’s The Shadow Hunt is a marvelous tale of magic and religion in medieval Britain, in which a boy fleeing an abusive monastery attempts to prove his worth at a legendary knight’s court when he is ordered to teach a half-feral elf girl to speak; Just Under the Clouds by Melissa Sarno, which follows the struggles of a middle grade girl as she deals with homelessness and tries to find positive aspects of life despite all the pressures she faces: her sister’s constant need for care, her mother’s difficulty in finding a job that will give them a home, and the hunger and dangers she faces every day; and The Parker Inheritance by Varian Johnson, a powerhouse of a mystery about a small South Carolina town and the brutal history of inequality and violence that arises as a girl searches for a hidden treasure. SJ: Drest, as mentioned, is twelve years old—and she can wield a sword and keep up with her war-band brothers and father. That makes her character even more wonderful, beyond a clever and resourceful girl who can take care of herself, into a girl who becomes the hero of her own story, a legend. Drest would have been an anomaly in the time in which this takes place, as a female empowered. What drew you to writing the character of Drest? SJ: This novel is full of action and adventure, a true epic journey from start to finish, with a girl coming into her own, learning true loyalty and friendship. Were there any sorts of books or other famous adventures that you gained inspiration from? DM: The genre of the quest story inspired this book, as well as the many different legends of King Arthur I’ve read over the years. I also grew up with the early Star Wars movies and The Hobbit and The Lord of the Rings asbooks; no doubt those influenced me as well! SJ: For those of us who happen to love historical fiction, especially ones with young protagonists, do you have any recommendations? What are some of your favorite books? DM: One of my favorite books of all time is Here Lies Arthur by Philip Reeve. It’s the story of who “King” Arthur might have really been—a brutal pre-medieval warlord. This book follows Arthur from the perspective of a young girl who, disguised as a boy, rides with his war-band; and later, as a girl, lives among the ladies of his wife (a life still strewn with drama and danger, by the way). Another historical book I love is Geraldine McCaughrean’s Where the World Ends. It’s a based-on-life story of a group of boys in remote 18th century Scotland who are dropped off at a desolate sea stac (a big column of stone in the ocean) to harvest birds. The boat that’s supposed to pick them up in two weeks never comes, and what’s supposed to be an intense annual experience of hard labor turns into a fight for survival and an examination of what matters most in life. It’s a beautiful, tense story with a marvelous narrative voice. And here’s a historical novel that my middle grade son recommended to me a month ago: Sophia’s War by Avi. It’s the tale of a girl in New York during the American Revolution. Her infatuation for the charming British solider lodging with her family fades when he refuses to help her imprisoned brother (who dies miserably in his prison). A few years later, the girl becomes a spy for the American patriots, and ends up in the home of her formerly beloved British soldier (now a high-ranking officer). It was very hard to put this book down! SJ: Drest’s legend feels like it is just beginning: will we be seeing more of Drest, her brothers, Emerick, Tig, and Mordag in the near future? DM: Yes, there’s a companion novel coming out on March 5, 2019, The Hunt for the Mad Wolf’s Daughter, which starts about two hours after the first book ends. You’ll see a lot more of Drest’s brothers and father, as well as her best friends. And Drest herself will show off a lot of her warrior training as she defends her own life. SJ: Do you have any other exciting medieval stories in the works? DM: Indeed! I can’t say much about them, as one is in my editor’s hands and the other I’m still writing, but let’s just say that I have more action-packed Scottish medieval adventures embedded with social justice themes in the works.